A political conspiracy suspense thriller, Blow Out builds admirable momentum in a stylish package but takes an awkward wrong turn in its final 20 minutes. Jack Terry (John Travolta) is a Philadelphia-based sound technician for low-budget slasher flicks. While out at night recording natural sounds for use in upcoming productions, Jack witnesses a car crashing off a bridge and plunging into the river. He dives in and just barely manages to rescue Sally (Nancy Allen) from the submerged car. The crash kills a high profile governor who was being touted as a presidential candidate, and Sally was the call girl entertaining him for the night. Based on his microphone picking up the sound of a gunshot just before the tire blow out that causes the crash, Jack strongly suspects that the governor was actually the victim of an assassination. But he finds no officials interested in what he saw and recorded, and is advised to forget the whole incident, including Sally's existence. Low-life photographer Manny Karp (Dennis Franz) suddenly emerges with film of the crash and sells images to the tabloids, while a mysterious assassin named Burke (John Lithgow) goes rogue and initiates a killing spree that threatens both Jack and Sally. As it heads into a murderous climax, Blow Out loses its way. The delicately constructed narrative of politics, assassination, cover-up and scandal is all but abandoned. In his rush to find derivative Hitchcockian moments and to drive Jack's life towards an imitation of the slasher movies he works on, director Brian De Palma unfortunately reconstitutes Blow Out as a routine serial killer terrorfest, sucking the air out of the drama. The ending takes away some, but not all, of the lustre of the first 90 minutes. Here De Palma, working from his own script, combines style with mystery, dropping the Jack Terry character into a devious world he knows nothing about. Drawing savoury inspiration from the John Kennedy assassination and the Ted Kennedy Chappaquiddick incident, the film is dark, all the characters surrounding Jack are seedy, everyone seems to have something to hide, and even seemingly innocent victims are not as uninvolved as they seem. De Palma deploys his usual bag of dynamic tricks, including a dazzling rotating shot amplifying Jack's mounting frustration as he discovers that all of his tapes have been deleted. 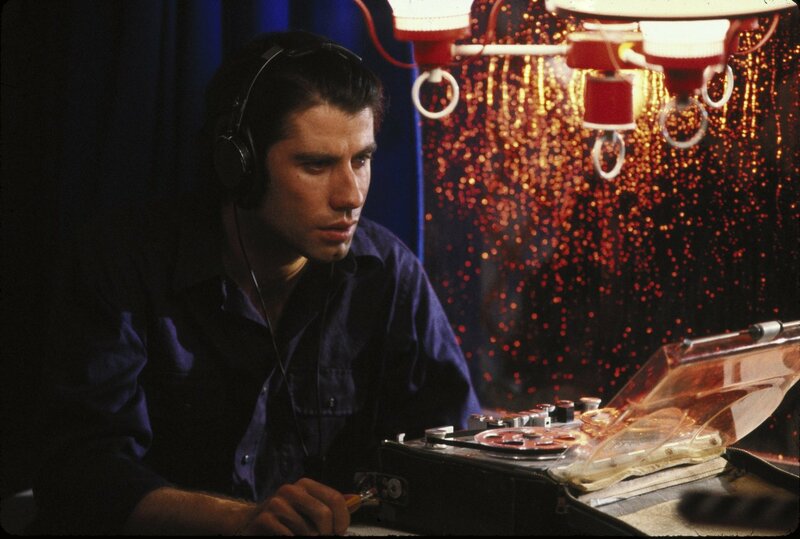 In one of his better early dramatic outings, Travolta demonstrates a driving passion for Jack's profession: he may work on low-budget flicks, but he is also a sound technician who believes in what his ears and equipment are telling him. While faithful to what he knows is the truth, Travolta allows Jack to carry just enough of an independent swagger about the broader conspiracy. His world can live without all the politicians, police officers and their corrupt games; he learns to care only about Sally's fate. Blow Out pumps up good pressure, but unfortunately picks up a late puncture and somewhat deflates.